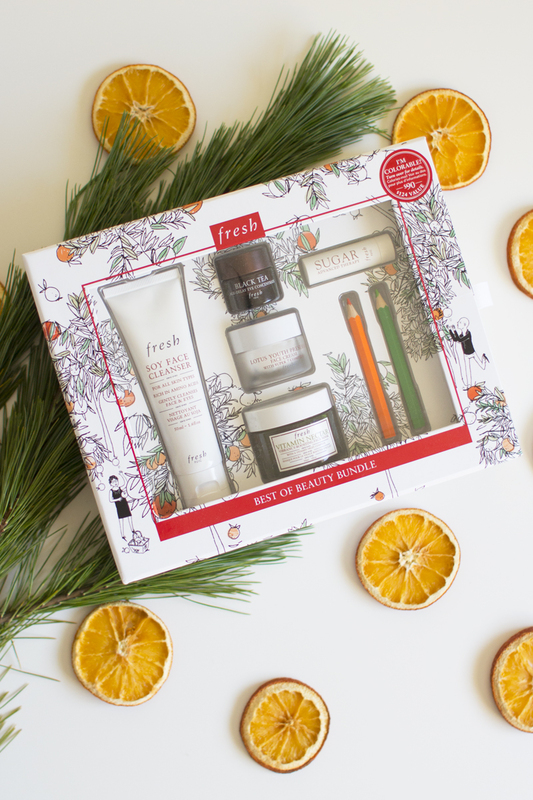 It's that time of year again, where Fresh Beauty just kills it with their Holiday Gift Sets. They are one of my favourite gifts to give and receive. This Holiday Season the packaging is on point (as usual), and some of the boxes come with pencil crayons that you can use to color in the prints on the boxes (so fun!). The Best of Beauty Bundle is probably the best gift to give to someone who hasn't tried Fresh Beauty before. It includes their best & most popular products, including some of my favourites the Soy Face Cleanser and the Black Tea Age-Delay Eye Concentrate. 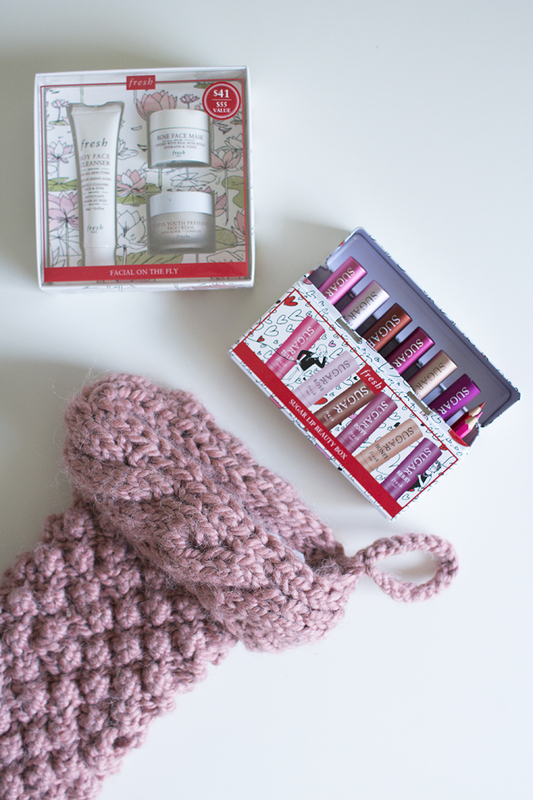 Their smaller gift sets make the perfect stocking stuffers. The Facial On The Fly includes a cleanser, face mask and face cream. The Sugar Lip Beauty Box includes six of their delicious lip balms. You could also split up this tin between a few stockings. 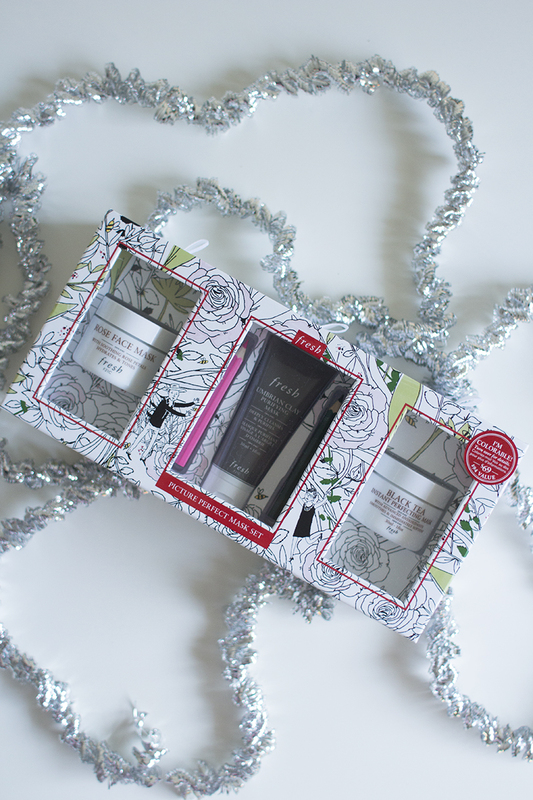 This BodyCare Besties gift set would be the perfect set to get for the Fresh Beauty Guru who only dabbles in their face products but hasn't ventured into the body care line yet. You can't go wrong with a refreshing grapefruit scent either. A set of Face Masks is always a winner. This Picture Perfect Mask Set includes three different masks., so depending on how your skin is acting any given day you can pick your face mask accordingly. I think my favourite might be the Black Tea Instant Perfecting Mask. It feels refreshing and tingly when you take it off. All of these amazing Gift Sets and more are available at Sephora. One week left to shop! Do you have lots of shopping left to do? I have a tiny bit let, hoping to get it done today!